How to find EVERYTHING on the Internet? For all questions, Jess with an iPhone has the answers. The truth is, the World Wide Web has the answers and Jess just so happen to Google them. 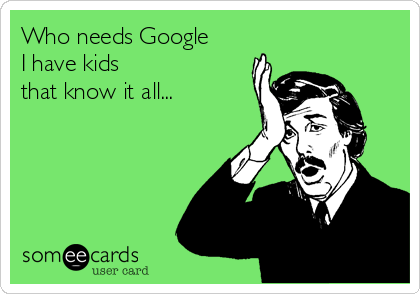 So, how do we get Google to fetch the information for us ? It’s actually easy. Much easier than getting your dogs to fetch the newspaper for you. Because all we need to do is say “open sesame” in the right way. The key point to find the right information on the internet is ASKing in the right way. Pretty much like in the real life, right attitudes get the answer right. On the Google main page, or at that long white bar on top of a browser, type in the questions. The trick is, first, just type in the questions. And second, don’t take the eyes away from that white long bar while typing; of course, you are allowed to look down the keyboard if you are one-finger typers. Type the questions for searching, and don’t worry about spelling, capitalization and make the sentence as direct as possible. For things we don’t even know HOW to ask, just type the keywords and separate them by space, and don’t worry about the order of words. While typing, remember the very important second tip: LOOK. Based on the words we type, Google will keep showing searches that have been asked before. Point is, we would never be the first lucky one to ask THIS, so look out for the suggestions that Google shows while typing and the chances are you will find just what you are looking for. Click the suggestion, and that will save us a lot of time. If you are looking for recipes for salsa, type “ salsa” and look at the suggestions. Here is salsa recipes, click it and we just save ourselves trouble for typing words. If you like to know movies starting from 1950s, type 1950s, m, o, and before we finish the word movies, Google already have suggestions ready for us. Searching information from Wikipedia, the biggest free online Encyclopedia, created by all humans. We can easily find the definition of any words today. Just type “define” in front of any words, and Google will fetch the definition right away. 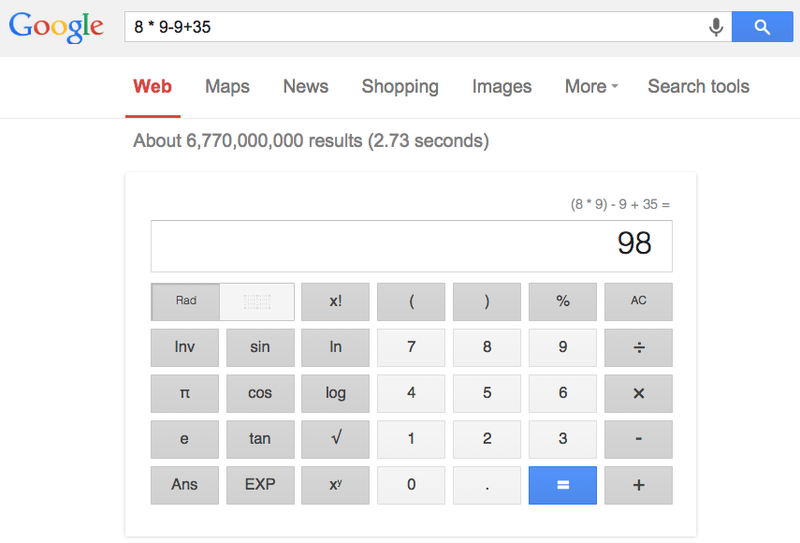 One more fun thing to do is that we can even let Google do the calculation for us. Simply type the questions, such as 8 * 9-9+35, and this is what we will see after hitting the enter. If you like to know more ways to search on Google, here is the official How to search on Google by Google. Read related article: How to Stay Safe on the Web? Read related article: What Are Social Media ?